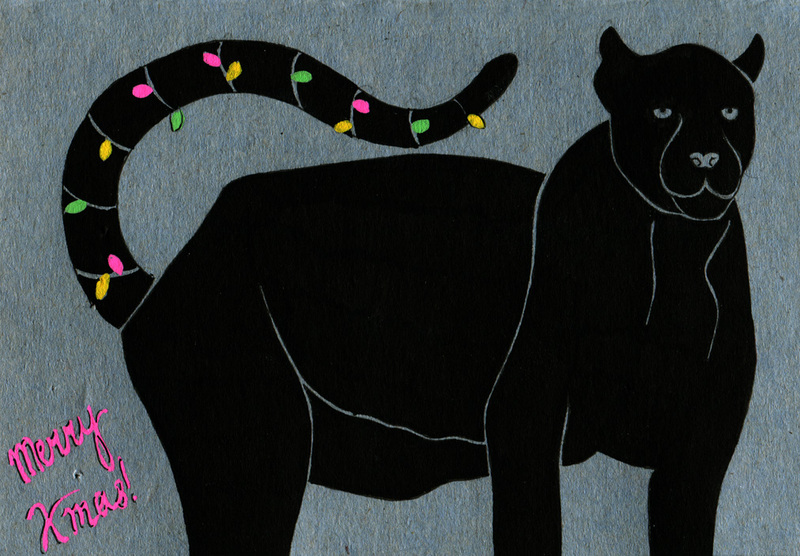 what of it indeed mr xmas panther. or should i say mr black leopard? no. that sounds stupid. and i don't care if panthers are just reverse-albinos, they're still cool enough for me to treat them as their own animal. also i haven't drawn a normal leopard yet so it doesn't matter.